We are excited to provide you professional Eye Care services in a comfortable and ​friendly environment. Welcome to Dana Salgado O.D. 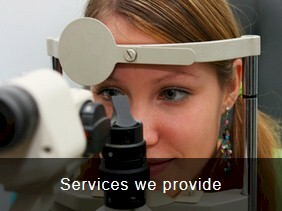 - Eye Care and Eye Wear! Our office strives to provide you with the most competent eye health exams and routine exams, as well as a full (and newly renovated) optical. Our Albany office is located at 1692 Central Avenue . (Just two miles west of Colonie Center with ample off street parking). 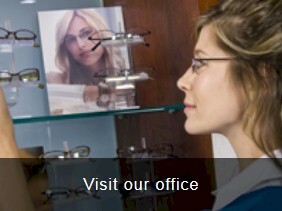 ​We offer over 500 styles of eyeglass frames. We are in the process of transforming our optical. We are proud to introduce some great new independent and fashionable frames. We care many lines, including: Kate Spade, MODO, KLIIK, FYSH, Longchamp, Taylor Madison, NIKE, RAY-BAN, Calvin Klein, Bebe, Nine West, DKNY, Columbia, Airlock, BCBG, Ellen Tracy, Wiley X, Polaroid, Eco, Flexon, and many more! We can style you into the most fashionable frames or a classic rimless and have frames at all prices. 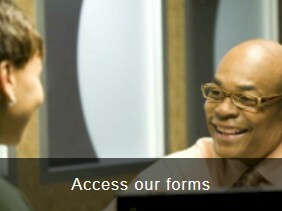 Dr. Salgado can fit you with nearly any lens available! Dr. Salgado has experience with traditional spherical and astigmatic fits as well as more complex Multifocal, Monovision and Gas Permeable contact lens fits. We stock trials in Daily lenses, Toric lenses, Multifocal lenses, Color lenses, Disposable (Bi weekly and Monthly lenses). Call to schedule your contact lens fit today! Ask about the new daily lenses available.